We frequently complain about the condition of the world. I often hear pastors and leaders grumble about the condition of the church they serve. Family members freely voice their disappointments with their family. Employees criticize their supervisors. It seems to be the way of the world. But here is a thought: Let’s own the problem. By “owning”, I am referring to the opportunity we have to accept responsibility, perhaps not for creating the problem (although at times we are guilty), but rather, for discovering the solution to the problem. Sometimes, we like to remove ourselves from the work. We observe a big dilemma and the only answer is a lot of hard work – so we stand on the sidelines and shrug our shoulders. Or, we inherit a bad situation and it’s frustrating to see what a mess someone else has made. In these cases, it is easy to exonerate ourselves from responsibility. If you refuse to be the solution to problem, you are part of the problem. Pastor, if you’ve been at your current church for more than 3 years, you own the problems, whether or not you created them. No more blaming your predecessor or the church members. If the church has a bad reputation in the community, repair it. If the leaders have no vision, train them. Politicians cannot continue to point fingers at the other party. We didn’t elect you to blame; we elected you to lead. If your neighborhood park is rundown, you can fuss about it on Facebook, or you can organize the community, raise some money, and go to work. Own the problem! Keep in mind that God has a strategic plan for your life and if you are living in obedience to Him, He has you right where He wants you. Did He place you where you are only to be an observer? In His infinite wisdom, did He create you to be a complaining bystander? No, He put you in your current role so you can bring solutions to problems around you. You can no longer afford to be one who only points out problems – you must now be a solutions-oriented leader! Moses didn’t enslave the people but God asked him to lead them out of slavery. Joseph didn’t create the famine but God sent him ahead so he could rescue the entire nation. Paul didn’t create the storm in Malta but God used him to save all 276 on board the boat. Please notice that, in the cases above, owning the problem was painful. It cost the problem solvers a great deal. They suffered. But each of them accepted their role. And countless people were eternally indebted to them. Let’s not minimize the cost of owning today’s problems. Let’s also not mistake this concept for becoming a “fixer.” You are not the Messiah; it is easy to get out of balance in your quest to bring answers. But within the proper parameters, one person can have an incredible positive impact on the dilemmas of this world. One of the biggest responses we will hear from this proposition is: “the problem is too big for me. I don’t know what to do. It’s out of my scope of capabilities…” Keep this in mind: God can do anything. If you are on His side, if you are working on His team, He can bring the solution. But many times, YOU ARE THE SOLUTION! By this statement, I mean that God has placed the person with the perfect gift mix in the critical place to have the greatest impact in the process of removing of the obstacles that hold people back. You are that person. Let’s accept our role as problem solvers. Problem solving is an art form. It requires great faith, vision and people skills. Not everyone possesses these gifts, so those that do must exploit them. Until we engage, develop and deploy these problem-solving skills, the problems will persist, and increase. Keep this in mind: if you can’t or won’t engage the trouble, if you refuse to take ownership, perhaps God will appoint someone else who will. Until we see ourselves as “owning” the issue, unless we take the reins to lead our way out of a problem, we will continue to make excuses – and the problems will plague us as well as the people we love. It doesn’t have to be that way. Wow! This man was a true friend that cared enough to share valuable wisdom with me. I received it and thanked him. That has been a couple of years ago but I still recall the conversation, often. I realize that some will come to my defense, will think that this guy should mind his own business and that I have the right to spend my money the way that I want. But, as a leader, I disagree. I must be conscientious. I must be aware of others. I must be willing to sacrifice some of my liberties if I am to be an effective leader. I must use discretion. If you feel as though what you do is no one’s business, you need to take a look at Biblical leadership and Christianity in general. We are responsible for and accountable to one another. Just last night, I was making some observations on Facebook about a very popular football game. I was trying to make some life and leadership analogies by pointing out the failures of a particular player. You guessed it; some people were upset and offended. I now had three choices: defend myself and blast those who were offended, ignore those who were offended, or apologize. I chose the latter and removed my post. Like it or not, my role as a leader is more important than nonsense talk on social media. As leaders, everything we do is examined under a microscope, as well it should be. The Scriptures tell us in James 3:1 that leaders (teachers) are held to a higher standard. Of course there can be excesses with this idea and some only want to place impossible expectations on those in authority. But the principle remains true: anyone who wants to lead must be willing to use a different filter for decision-making. Don’t misunderstand – there are issues of morality that we must defend regardless of who agrees. However, the nonessential issues that sometimes separate people are just not worth it. Leaders are entitled to opinions about everything but it is immature and arrogant to share every opinion one has. As the leadership level increases, so the level of filter needs to increase. Think about this: you only get so much input into the lives of others before they lose interest or they tune you out. What kind of information is worthy of your influence? I can be right. I can be informed. I can even out-argue some people. However, there is a bigger concern. As a leader, how am I influencing my constituents? My advice to you? Use great discretion. By the way, you are entitled to disagree with my idea, just use discretion when expressing your ideas. I’ll keep working on it from my end. It’s not a perfect science. Increasing the impact and influence of a church can be very difficult. We all agree that numerical growth does not necessarily mean spiritual growth. But it is vital that churches around the world reach more people for Jesus. The church is God’s “Plan A” to reach the lost – and we are surrounded by lost people. Here are 10 simple reasons why churches don’t grow. The list is not complete and these reasons are not written in stone. This is not an attack on pastors who lead plateaued churches. I simply wish to provide some discussion for churches and church leaders who hope to grow. No strategy for growth. 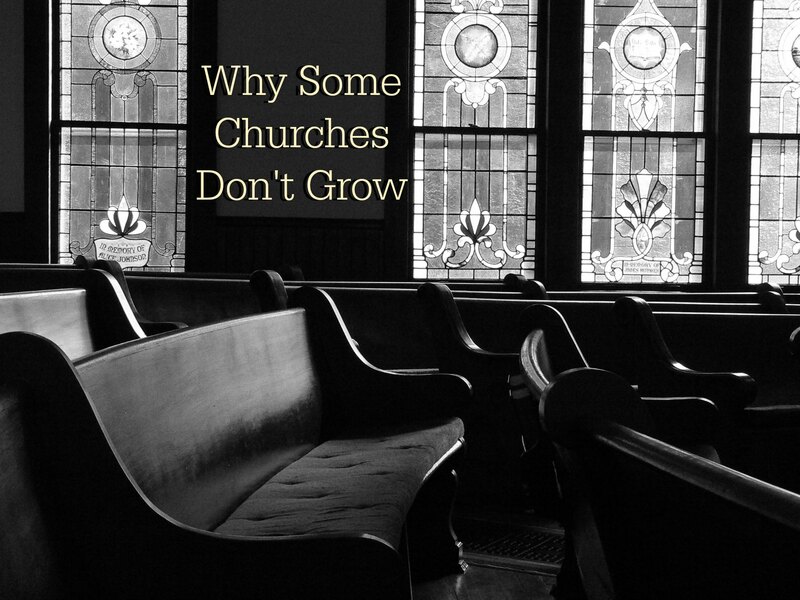 It is rare to hear a pastor say that he doesn’t want the church to grow. But without intentionality, a church is not likely to grow. Even when specific strategies are followed, there is no guarantee of increase. But no plan will quickly lead to stagnation. Rather than thriving, our goal becomes to maintain and survive. Have you outlined your blueprint to grow your church? Unwillingness to change. Some churches know what to do in order to reach more people but they are unwilling to make the necessary adjustments in order to do so. We do the same things the same way – because of tradition. The past is more important than the future; our rearview mirror is bigger than our windshield. This kind of ministry atrophy is especially difficult to overcome. Lack of change will result in lack of growth. Lack of growth will result in extinction. Lack of “know how.” Don’t believe the “experts” who tell you that church growth is a matter of taking “these 3 easy steps.” You can do certain things that will gather a crowd but true church growth is much more complex and spiritual than simply amassing warm bodies. Many pastors and leaders would gladly do whatever it takes to grow. Many times, church is a matter of doing the right thing the right way long enough that the results finally come. If you don’t know what to do, keep trying. And find out what to do! Leaders must approach the acquisition of this kind of expertise as a life-long ambition. Intimidation about culture. The world is becoming a scary place for Bible-believing churches. There is now a level of resistance and animosity that many of us have never experienced. It can be easy to see the church as a fortress that serves as a safe place from the evil world. Jesus did not establish His church to be a hiding place. The church is to be a force in our culture. Only the ministries that are confident enough to engage our culture will impact it. Be bold! God has given you the courage you need to overcome. Fear of increased responsibility. Some leaders dread the responsibility that comes with more people. Let’s face it – fewer people = fewer problems. However, God did not call us to an easy task. While a larger church equates to more pressure and stress, the rewards are that more people find Christ and experience the joy of being His disciples. Desire to control. There are a few (or many) control freaks who must hold the reigns on everything that happens in their organization. Growth means shared responsibility and authority. Unless a leader is confident and competent enough to share control, new people will be a very limited commodity. A pastor who is in charge of everything won’t be in charge of much. Please don’t limit the size of your ministry to only a few. Misidentifying relevance as compromise. This one is touchy. Some churches do not grow because they mistakenly think that if they connect with culture, they are somehow being less than true to the Gospel. This simply is not true. Jesus is always pertinent. The Gospel cannot be irrelevant. The church can, however, make the Bible irrelevant. Our job is to stay true to the Scriptures but to preach them in a way that makes sense to the people who hear it. That is not compromise, it is effectiveness. It’s what Jesus did and that seemed to work pretty well. Ministry schizophrenia. This is where a church gets its identity from other churches. Whatever the next big ministry bandwagon is, they are jumping on! I am all for successful ministry models and I believe that there are principles that apply across the board. But God does not wish to duplicate in every church what works in well-known churches. Be true to yourself and to your calling. Know what will work in your neighborhood, and do it. Know who God called you to be and whom He called you to reach. A lack of missionality. Churches that exist for their own good are doomed to fail. Inwardly focused ministry is a major turnoff for people who do not go to church. Jesus came, not to be served but to serve (Matthew 20:28); the church must give itself to God and to the needs of the people He loves. We are on a mission from God; if we fulfill it, our churches will grow. Here is the truth about church growth: churches that don’t grow will shrink and eventually die. In our post-Christian culture, church growth is getting more and more complicated. We need to pray and work like never before. It is possible that you can pray and work hard and your church may still not grow. But we do NOT want to be the reason our church doesn’t grow! Let’s get on with the responsibility of reaching the world for Jesus Christ. (Matthew 28:19-20). Long ago, in a faraway country village lived a hard working people known as the rock carriers. Their job was to remove the large stones that blocked the village farmers from plowing their fields. Day after day, year after year, the rock carriers labored at the heavy task of carrying these large stones out of the fields all the way to a distant valley. This was very hard work and the rock carriers grew tired. One day, the rock carriers were delighted to see one of their very own, a young boy, begin to grow and exhibit great strength. As he grew taller and his shoulders grew wider, the rock carriers began to have this strong young man carry their rocks. One by one, they piled their stones onto his shoulders. The larger he grew, the more weight he could carry. He was strong, he could handle the load. He worked tirelessly. Soon, the entire group of rock carriers relied on this one strongman to do their work. They became lazy. And he became tired. Yet they continued to stack up the rocks on his shoulders. After many years, they noticed that the strongman was walking slower now. He began to stoop over while he walked the road to the distant valley. This was no problem for them; in fact, it was easier to just place the rocks on his back rather than all the way up on his shoulders. He was saving them even more work. As the days passed, the strongman stooped farther and farther, until one day he was looking straight at the ground. He was completely doubled over. The villagers continued to pile on their rocks. They hadn’t noticed that the strongman was no longer moving forward. All they knew was that he was such a helper, their lives were so much easier now. 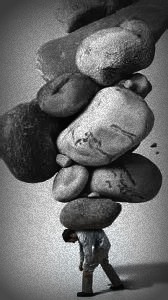 The rocks continued to pile up until one day, someone noticed that the strongman had disappeared. How dare he take a day off? Had he gotten lazy and abandoned them when they needed him the most? So the village rock carriers had to start carrying the rocks again. But they had to carry the rocks all the way around the huge pile of rocks that was now in the middle of the village road. How rude of the strongman to leave the rocks there! Hey leaders, when something goes down within your organization, don’t let people blame you. Step up and blame yourself! That’s right. Leaders don’t run from blame and they certainly don’t blame other people. Leaders accept the responsibility for the need for change and they lead it! That’s what leaders do. Leadership guru John Maxwell says, “Everything rises and falls on leadership.” There have been times in my career that I have hated that adage. When things are going poorly and the team is not producing, I want to point at someone else and take the pressure off of myself. But it’s my job to lead the team into success. With certain qualifiers, as goes the leader, so goes the team. There will be times when someone else messes up. As the leader, we must be strong enough to shoulder the blame and do what it takes to correct the direction. I heard a ministries consultant take another angle: If you’ve been at your current appointment for at least 3 years, you own every problem. You can no longer place the blame on your predecessor. You’ve been there long enough to address it. As the current leader, it’s your duty to deal with it and fix it. We can’t exonerate ourselves from it or abdicate our responsibility. In John 18:10, Simon Peter cut off the ear of Malchus. Jesus rebuked Simon and healed the guy’s ear! He explained that His kingdom was not one of violence. In Matthew 17:24-27 Peter commits Jesus to paying taxes without consulting Jesus. Again, Jesus fixes the problem. In Mark 9:14-29, Jesus’ disciples failed to remove a demon spirit from a boy. Jesus took care of the issue and set the boy free. Notice something – not only did Jesus accept responsibility and fix the problems, He also showed His disciples how to prevent the problems from being repeated. He utilized them in the solution, training them for the future. I love that! Real leaders are willing to meet a challenge head-on. They do whatever it takes to correct the crisis. They utilize the problem to train their team. And as a result, the team grows in its abilities. So once again, when something breaks in the organization, don’t find someone else to blame. Just lead the change. That’s what leaders do. Leaders don’t evade responsibility by passing it on to someone else. I am observing an abundance of – avoiding hurting someone’s feeling by not dealing with an issue – going on by people in positions of leadership. Legend has it that the term “passing the buck” comes from poker. 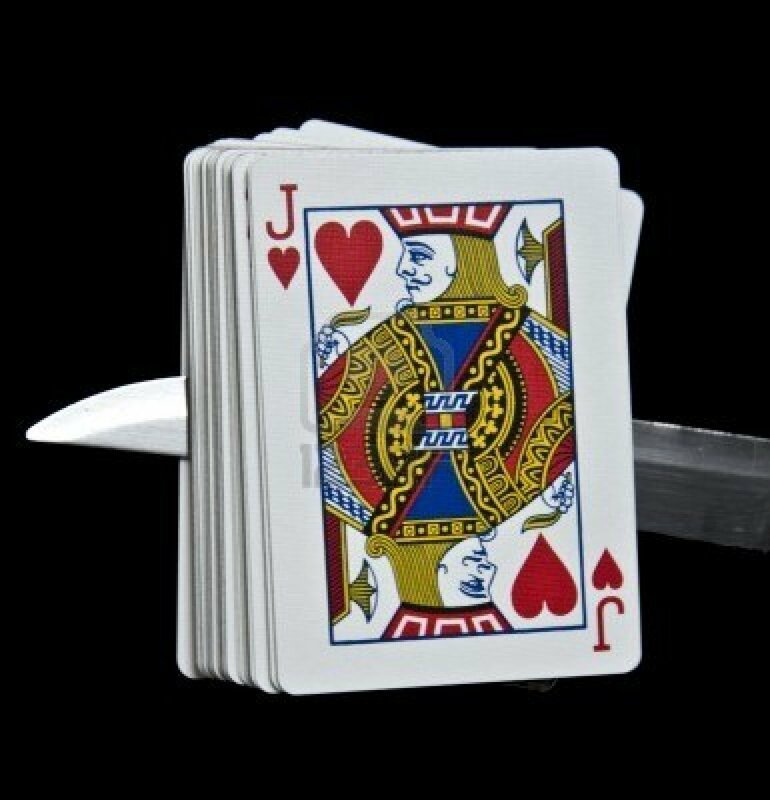 The dealer, in an effort to eliminate accusations of cheating, would pass the deck to the next player and he would cut it. In the old days, a buck knife was often used as the marker. So, when the dealer would pass the deck, he was “passing the buck”. Leaders must be willing to accept the responsibility for tough decisions, even when those decisions are not popular. If we are not strong enough to make the tough calls, the organizations we lead will suffer. Don’t push the problem on to the next guy. Muster some backbone and deal with it. Be strong. Lead. No more passing the buck! 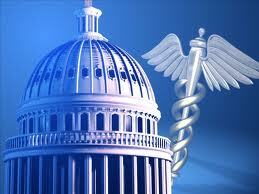 the health care debacle: who is to blame? I have a couple of friends that love our President and everything he does. He made their year with his influence over the Supreme Court and their decision to mandate a health insurance tax. However, most of my friends are quite upset with the decision. The Bible tells us that it is the responsibility of Christians and the Church to take care of the widow, the orphan, the needy and the poor (see references below). It appears that several years ago, we decided to abdicate that responsibility. So someone has to do it. Enter – the government of the United States. Back as far as President Franklin Roosevelt during the Great Depression, the government began handing our support to needy people. This practice has grown ever since. The current health care reform emphasis is simply an extension of this. So what would keep the church from being able to fulfill these responsibilities? Most people are not a part of a local church, therefore we are not even in relationship with them. This responsibility involves way more than just giving money. Most people who do go to church do not give money to the church so there is nothing to share with the poor. We spend everything we get trying to keep the doors opened. Most Christians simply won’t accept the responsibility. They are more concerned about democracy that they are about obedience to Scripture. So we hand the job over to the government. Yet many complain when it’s not done their way. This essence of this problem is not political. It is spiritual. We won’t change it by voting. We will only change it by doing what God told us to do. I think God had a better plan. Proverbs 19:17 When you help the poor you are lending to the Lord–and he pays wonderful interest on your loan! 1 John 3:17 But if someone who is supposed to be a Christian has money enough to live well, and sees a brother in need, and won’t help him–how can God’s love be within him? Proverbs 14:31 Anyone who oppresses the poor is insulting God who made them. To help the poor is to honor God. James 1:27 The Christian who is pure and without fault, from God the Father’s point of view, is the one who takes care of orphans and widows, and who remains true to the Lord–not soiled and dirtied by his contacts with the world. Psalms 82:4 Rescue the poor and helpless from the grasp of evil men. 1 Timothy 6:18 Tell them to use their money to do good. They should be rich in good works and should give happily to those in need, always being ready to share with others whatever God has given them. Isaiah 58:7 I want you to share your food with the hungry and bring right into your own homes those who are helpless, poor, and destitute. Clothe those who are cold, and don’t hide from relatives who need your help. Isaiah 58:10 “Feed the hungry! Help those in trouble! Then your light will shine out from the darkness, and the darkness around you shall be as bright as day.